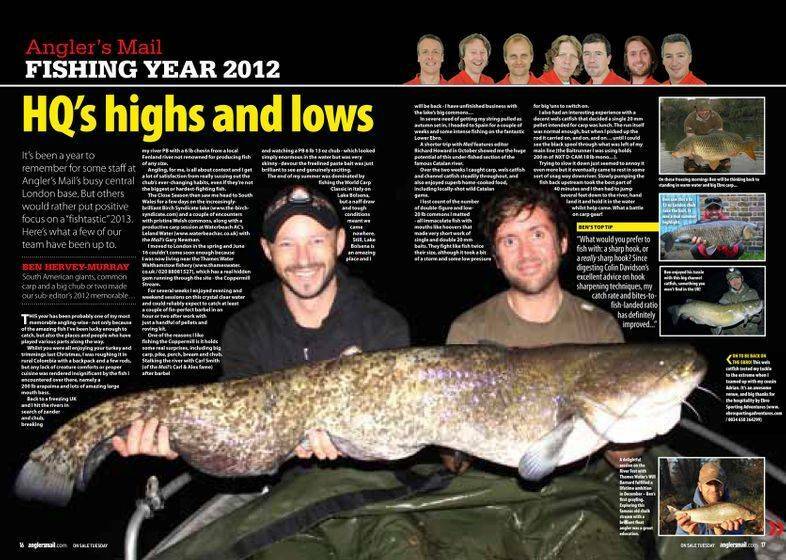 Angler's Mail fishing exhibition feature, it was Great to be part of there high lights! Angler's Mail section editor Ben Hervey-Murray headed to Spain and experienced, some of the best river fishing in Europe on the under-fished Lower Ebro. Click Here or below to enlarge. Fish which pull back! These Channel cats are quick to move in on your pellets I’ve been itching to get out on my local tidal river piking over the past few weeks but it’s been up and coloured with the rain we’ve had in the South East – not good for pike. I wish I lived closer to the R.Wye as it certainly looks like it’s been doing a few. Since my last Blog, we’ve had all sorts of weather in the South East, it snowed whilst I was on the north Kent coast two weeks ago during an Arctic chill, then last week my local November 5 Bonfire display, was flooded off. 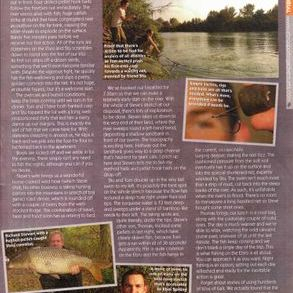 There’s a realistic chance of hooking a good Wels catfish In stark contrast a month back I had three days on the lower Ebro, Spain, about 40 km from the mouth and a couple of hours from Barcelona. And the temperature was hovering around 30 degrees! I hadn’t realized how easy it was to hop on a 2 hr 20 min flight with Ryanair with just hand luggage, with a 1 hr plus transfer courtesy of Ebro Sporting Adventures (www.ebrosportingadventures.com) and be fishing their 2 km private stretch of river where you can properly get your string pulled – you’re just not sure what’s going to come a long next. 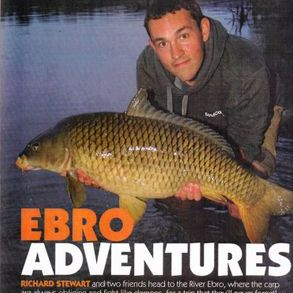 And you can night fish it, which you can’t necessarily do upstream. For some fun fishing, that’s a short hop away, I’d recommend it. 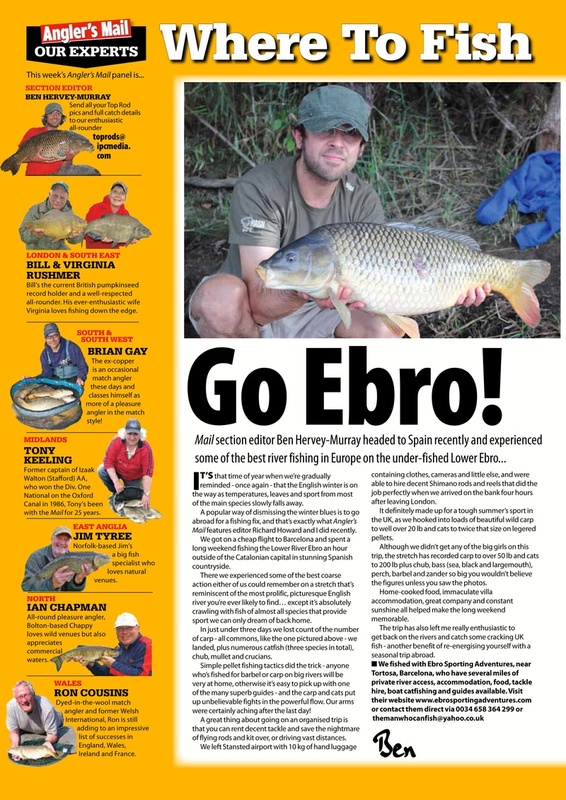 And our Total Carp feature, click on the photo to enlarge.